Extreame Savings Item! Free Shipping Included! 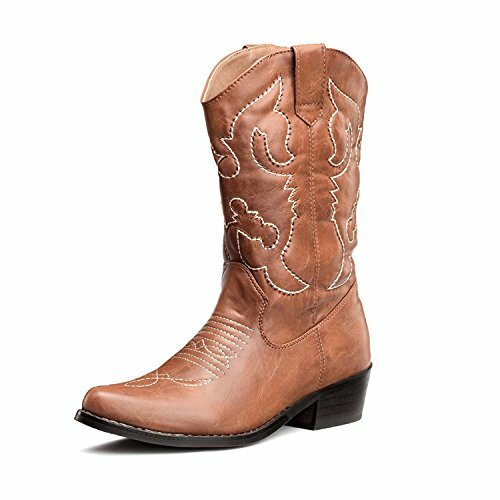 Save 45% on the SheSole Women's Western Cowgirl Cowboy Boots Tan Size 11 by SheSole at SCRHI. MPN: SHBTL005-TA42. Hurry! Limited time offer. Offer valid only while supplies last. DESCRIPTIONCowboy boots aren't just for those of you living out west, they can be for everyone when you learn fashionable ways to wear cowboy boots! Cowboy boots aren't just for those of you living out west, they can be for everyone when you learn fashionable ways to wear cowboy boots! Many Hollywood starlets who have sported these western kicks. From dresses to jeans and everything in between, cowboy boots make a great and stylish addition to most outfits! Acquaint yourself with Ice cream cones, sun dresses, and cowboy boots are your go-to accessories for a summer full of fun. A: Most shoes are true to size. However, different person may happened a little tighter or looser, plz do check our size chart on Gallery Photo or contact us for actural measurement. WHY:Best choice for a country wedding,no matter bride or bridesmaids. MEASURE: Shaft from arch: 10-11" / Heel Height: 1.8" / Boot opening: 13-15"
FITTING TIPS: Please do check size chart on Gallery Photo or contact us for actual measurement!